Cloud computing is not just a trendy application that people can use to store their photos and videos online. It is part of a business model that is taking the world by storm. Cloud computing not only changes how so many businesses store and access data, but it is also changing how many of these businesses operate. Large businesses have an advantage when it comes to the cloud. They can work with the major cloud providers and get every service perk they need. But one of the great things about the cloud is that even small and medium-sized operations can benefit from it. Cloud computing is so important because it offers flexibility, data recovery, little to no maintenance, easy access and a higher level of security. Does your business experience fluctuating bandwidth requirements? Some months are busier, while others are not as intense. With cloud computing, managing resources is easier than ever. Simply pay for the resources you are using each month, and nothing more. Cloud storage and cloud VPS providers offer flexible packages, where you can easily add or decrease the amount of storage and bandwidth you are paying to use. Recovering data from damaged physical servers and hard drives can be fairly problematic. If the physical device is badly damaged, recovery may not be possible. These issues can result in businesses losing vital data, especially when it is not adequately backed up. With cloud computing, these issues are not as relevant. When data is stored on the cloud, it is usually stored by the provider in multiple locations. That means your data is not just saved in one physical location. Even if they have a problem with one of their servers or massive storage locations, your data is safe as a copy is present at another location. Small businesses rarely have the infrastructure or finances to set up complex and secure physical backup systems. But with cloud computing and storage, they can get an excellent service at an affordable price. When running a traditional server setup, companies must worry about the maintenance of the entire system. Not only are regular checks mandatory, but parts constantly need replacing as they stop working or become outdated. A cloud computing solution eliminates the need for any maintenance. There is no cost or effort required by companies that use cloud solutions, as everything is handled by the provider. That removes a massive headache off your shoulders, and ensures the monthly expenditure is limited to what is paid for the cloud services being used. Access to documents, backend files, software and the company website is much easier with cloud computing. It is effortless for employees to work remotely, while the entire company is connected through its cloud interface. All your employees will require is a device to access the network, and the correct security protocols. With cloud computing, everything you are accessing and saving is on the cloud. Even if a laptop is lost or damaged, the company interface is accessible through another device. And since all your documents save on the cloud, there is no concern about losing important documents because they were saved on a now lost or damaged laptop hard drive. Since information is no longer contained on your physical hard drives or servers, it also becomes a lot harder for anyone to steal. 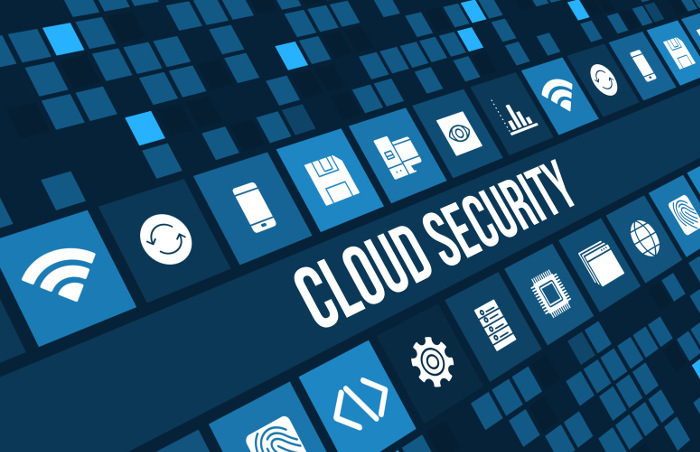 With a comprehensive encryption and login security system, company data is much safer with cloud computing. The cloud is here, and it is already transforming how many companies operate. Businesses may be reluctant to change up existing operations, but the benefits of the cloud means the transition is worth it.